Spring is officially here and that has many people hopeful warm weather will arrive soon. But often times the change in weather brings on those red, puffy, itchy eyes. Is it Pink Eye or is it Allergies? 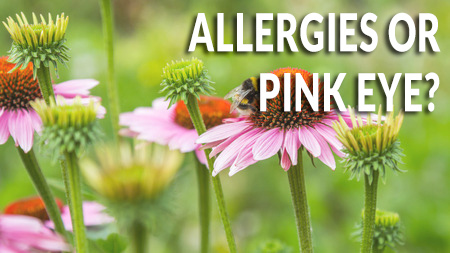 Pink eye and allergies can come on with similar symptoms and it is important to be able to distinguish between the two. Pink eye, or Acute Conjunctivitis, is a viral or bacterial infection of the mucus membranes that cover the white surface of the eyes and line the inside of the eyelids. Symptoms include eye pain, swelling of the eyelids, redness, light sensitivity, and a thick or gooey discharge. Pink eye normally affects only one eye initially but usually spreads to both eyes quickly. 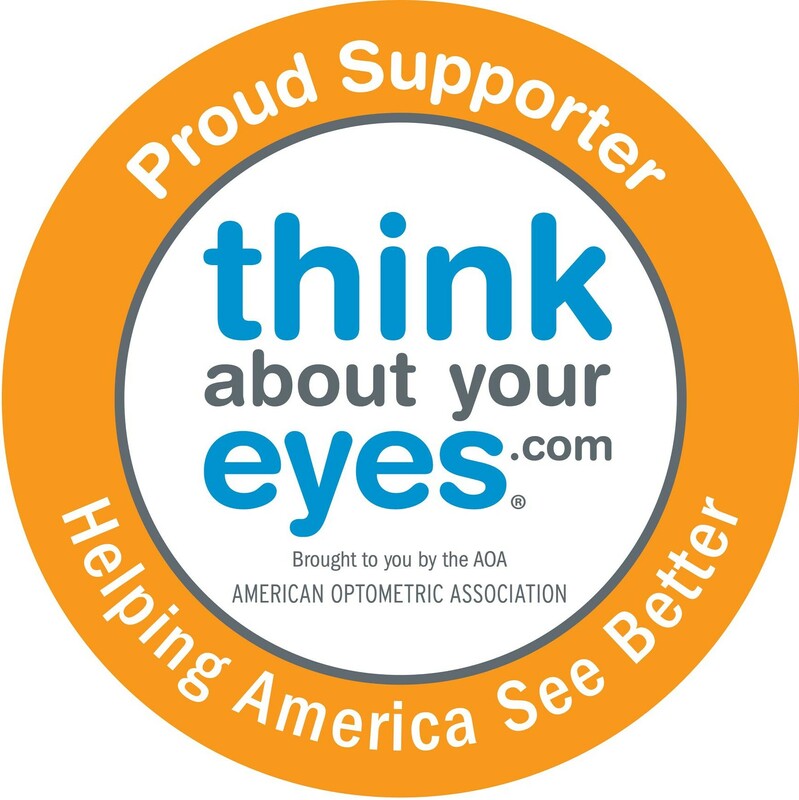 If you believe you have pink eye, contact your optometric physician immediately – don’t have one? You can find one here! If left untreated, pink eye can cause changes to the vision. Allergic Conjunctivitis is the inflammation of the same membranes due to irritants in our environment. Allergic conjunctivitis symptoms occur in both eyes and include redness, swelling of the eyelids, dark circles, watery discharge, contact lens intolerance – and most notably, ITCH. Eyelid hygiene – you can use over the counter lid scrubbing pads specially formulated to remove allergens and dandruff buildup from the eyelashes. Head to the optometrist for an eye exam – if your eyes have been red, swollen, itchy or runny, an optometrist can help by prescribing specially formulated eye drops that include antihistamine and anti-inflammatory medications to calm your symptoms.